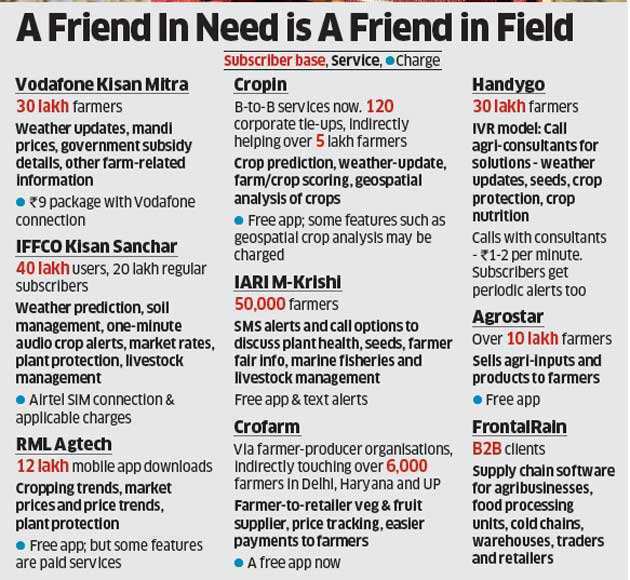 Almost all agri-service/agri-tech companies have started mobile apps though call lines are open as farmers are more comfortable with direct personal contact.“Just an app is not good enough; we need people on the field also, to guide and hand-hold farmers. 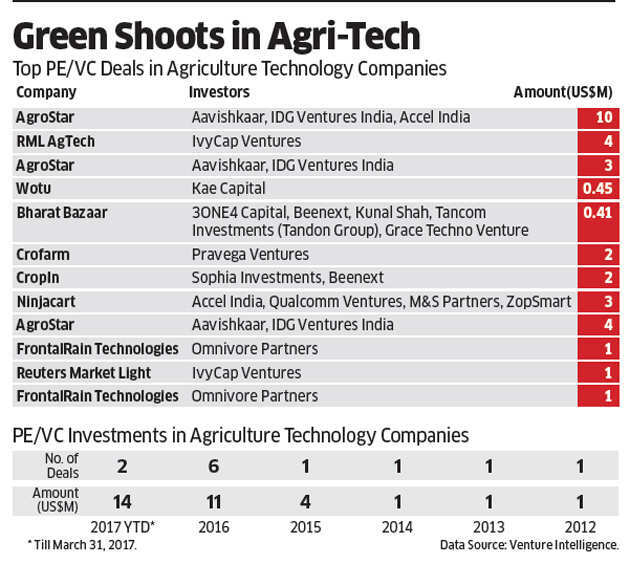 We’ve some 150 employees working with farmers across the country,” says Rajiv Tevtiya, CEO at RML AgTech. 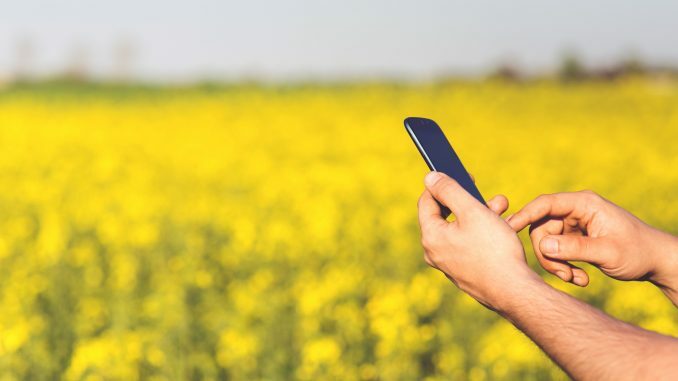 “Mobiles phones can make farming a viable business. They can bring in efficiency, increase productivity and bridge knowledge gaps,” Tevtiy adds. Many a time, farmers choose the wrong crop in their fields. Take, for instance, how farmers in Maharashtra abandoned tomatoes this year, and grew more pomegranates, resulting in a significant price crash for the latter. Farmers in Himachal Pradesh dumped apples this year for cauliflower, causing the latter’s price to fall by over 50%. “Crop selection has always been a problem… We’re doing this to prevent farmers from planting the same crop across large tracts, without checking soil suitability,” explains Amit Kar at IARI.